Posture Control Brace, Posture Support, Structure Support, FLA Orthopedics, 7279000, 7279001, 7279002, 7279003, 7279004. Posture Control Brace, manufactured by FLA Orthopedics, is a structural brace made for women, by women, that promotes good posture. You may select this product to help alleviate back pain. Featuring soft and breathable material, you will remain cool and comfortable while wearing the Posture Control Brace. The Posture Brace also has adjustable shoulder straps for easy application and to ensure a snug, yet comfortable fit. 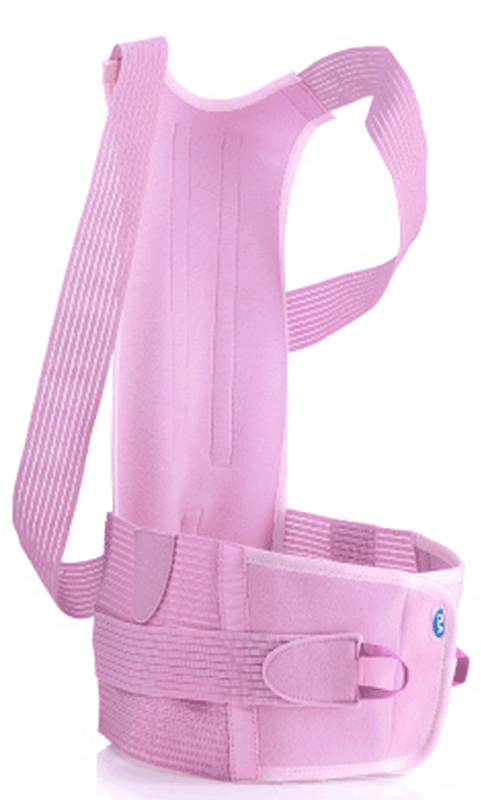 Additionally, this brace features velcro closures and thumb loops to assist with getting the perfect fit. Available in a fashionable color and low-profile design, you can remain chic while providing proper structural support for your body. For increased pain relief, check out our line of pain relief products. Product Numbers: 7279000, 7279001, 7279002, 7279003, 7279004. Sizes: S, M, L, XL, 2 XL. Application: To alleviate back pain and discomfort; provide good posture. 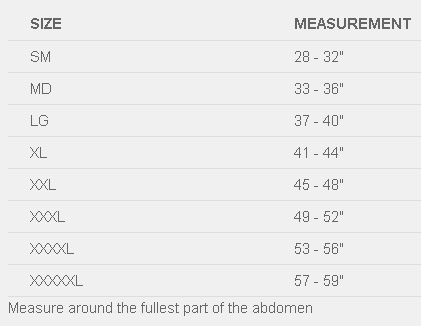 fullest part of the abdomen 26"-32" 30"-36" 34"-40" 38"-44" 42"-48"